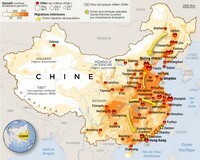 Map of China with cities. 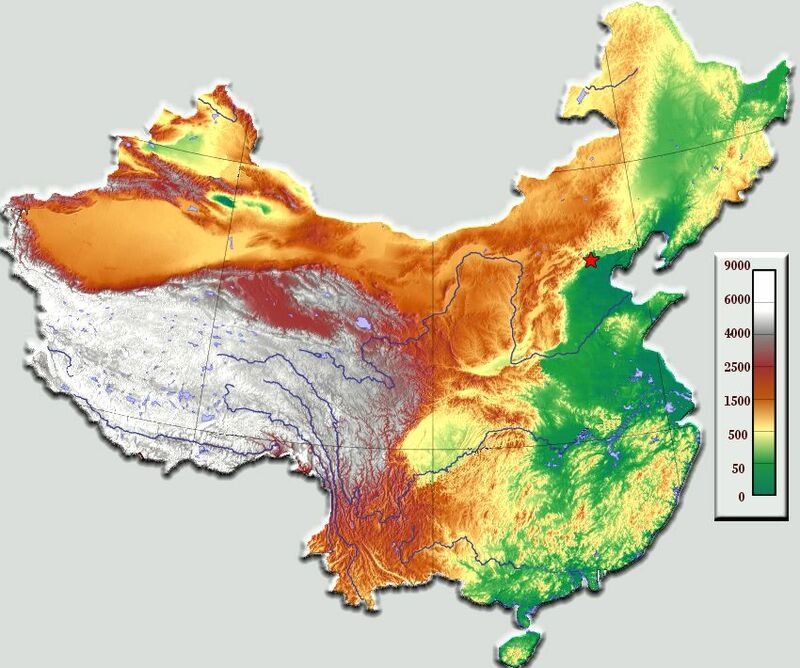 Map of China with the rivers. 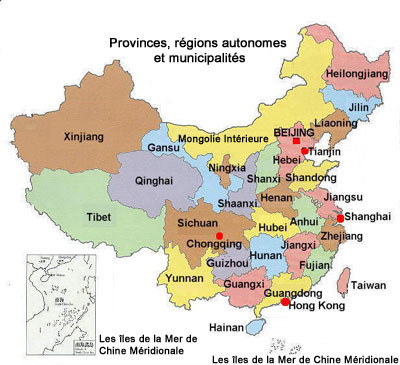 Map of regions of China. 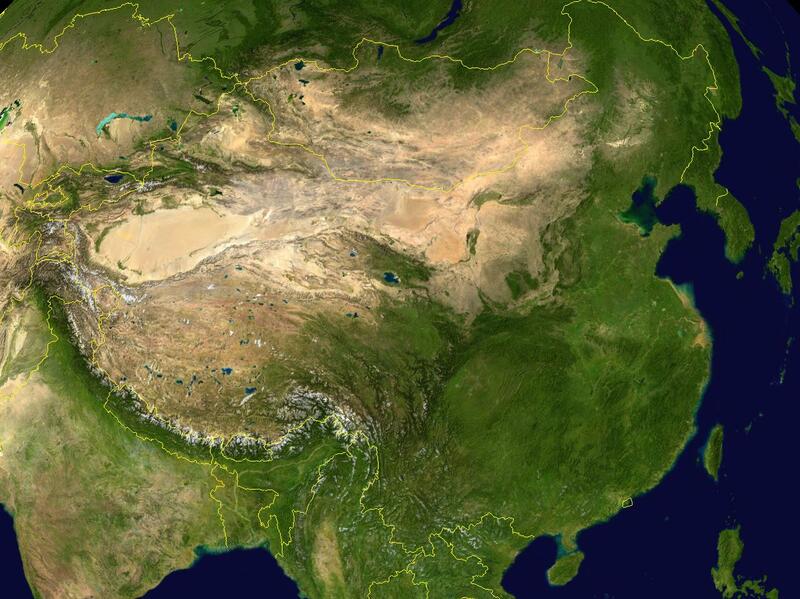 Map of China with terrain and altitude. Map of population density in China. 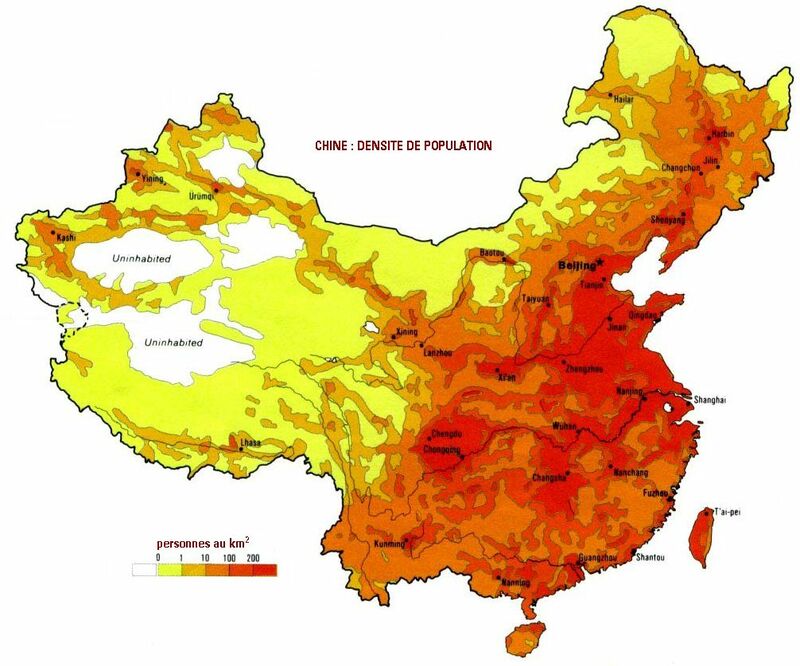 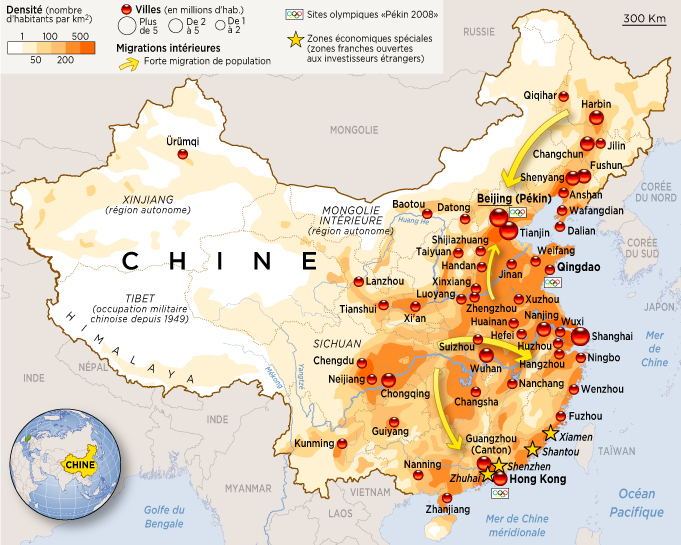 Another map of population density in China.